There are many people stating that the worst is over and that things will start improving soon. 2018 was not a good year for the property market and economy at large and unless we start to see some certainty around land reform policies and along with this how the elections will play out, I do not believe we will see marked improvement in the coming year. I am, however, cautiously optimistic that once we have the elections behind us, we will start to see things improving. We entered into a technical recession a few months ago, after our gross domestic product contracted for the second quarter in a row. Forecasts are that our economy will have higher growth in 2019 than we have had during this year, but leading indicators suggest another tough year ahead for the man on the street. The country's rapidly increasing cost of living predominantly lead by the increasing cost of fuel has put consumer spending under pressure. Inflation is expected to be higher in 2019 and the possibility of interest rate increases looms large. Both homeowners and tenants are going to be increasingly stretched to meet their monthly commitments to pay their home loans and/or rent. We are in a buyer’s market and this will continue through most of 2019. Those who qualify for finance or who are able to buy for cash will be in a good position to take advantage of the current conditions. Most of the property sales activity in the past year has been in the R300,000 to R1,500,000 range. During the course of the coming year, I expect this to continue. Government is focused on developing our economy, at least in part, through the development of entrepreneurs. If successful, we should see an increasing number of people able to enter the lower end of the property market. According to Lightstone’s Residential Property Indices (Oct 2018), the average house price increase across South Africa this past year has been 3.77%. The Western Cape has been the best performing with 9.9% house price inflation and the Northern Cape has shown the worst growth with only 1.1%. I foresee that this low growth rate will continue and, in particular, I think will see more normalisation with the Western Cape possibly showing a lower growth rate in the coming year despite the relief from the drought. From a rental perspective, I see our current conditions with high vacancies and low escalations across most of the country fueled by lower than normal demand, continue into 2019. Historically, we have seen rental demands increase during tough economic times. But this is not happening now. Our data partners TPN report that average tenancy periods have increased to 18 months and the average age of tenants is now 32 (up from 24 in 2008). Their data shows that fewer people are entering the rental market and the majority of those that are, rent for less than R7000 per month. The short- to medium-term opportunities for property investors and landlords therefore lies in properties that allow for multi-generational living and in properties that can be rented for R3500-R7000 per month. Exasperating things on the rental front is the increasing delinquency rates of tenants who are applying for tenancies. Along with this comes decreasing rental recovery rates. 2019 will demand that landlords screen and manage their tenants more carefully than ever. Good property management agents (for example, those with access to tenant payment behaviours and cost-effective rent guarantees) have an opportunity to add value to landlords; managing risk and correctly pricing properties will be of utmost importance. Economics aside, 2019 is going to bring continued change to the way buyers and sellers, tenants and landlords are able to transact. The real estate industry is changing fast; technology is being harnessed to allow a positive response to long-held client frustrations and traditional ways of business are being challenged. This is bad news for traditional real estate professionals who are unable or unwilling to embrace change and good news for end-consumers. Property transactions are going to be managed more efficiently and with greater transparency. They will be easier and less expensive. I don’t believe that systems and technology will replace real estate professionals; the circumstances around property transactions are too diverse, convoluted and unpredictable. I do believe that we have an opportunity to augment the skills of our real estate professionals through the use of technologies, thereby delivering a far better level of service to our clients. This prospect is what I most look forward to in 2019. 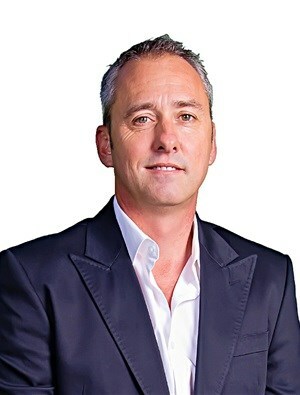 Since 2013, Paul Stevens has been the CEO of Just Property Group Holding (Pty) Ltd which controls an international group of property franchises specialising in residential sales, rentals and management. He joined as a franchisee in 2003 and now, as CEO, drives the strategic direction of the Just Property brand with his charismatic optimism. He is also actively involved in the evolution of the South African property landscape, working closely with high-level industry stakeholders.